Have you been looking for Toby Salk, one of our great Mah Jongg teachers? Well, if you happen to be in the Bay Area, specifically Berkeley, just look for a car carrying her fabulous license plate! I love this license plate! This entry was posted in Mah Jongg and Me and tagged Bay Area, berkeley, license plate, mah jongg, Toby Salk on May 26, 2015 by Mah Jongg and Me. Ann! All I could see with the words “how do I find” and I thought matching tiles might follow. I am shocked and elated to see my name. Ann, you just made my day and my week and my month. Thank you! 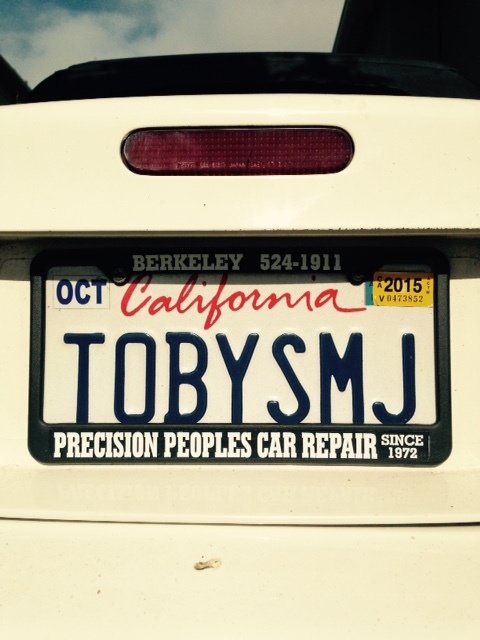 Well, I had to have my “Toby fix” so thought it should be today!